Nowhereelse.fr has commissioned designer Martin Hajek to mockup the iPhone 6, using the most recent leaks about the upcoming device. The renders, shown above, use the supposed iPhone cases pictured on Wednesday and leaked schematics from late March to envisage the look of the future iPhone. Naturally, the most striking change is the display, stretching almost edge-to-edge. 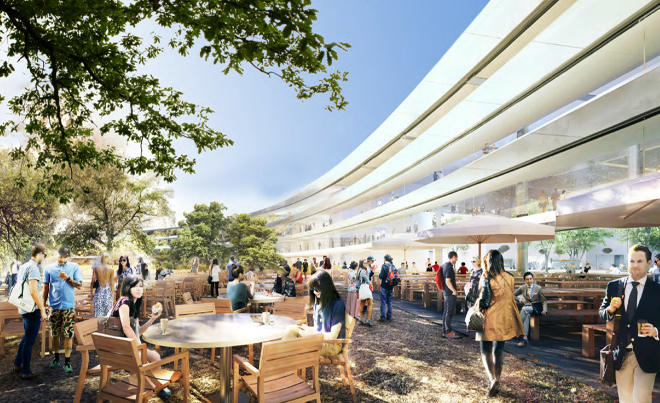 New renders released by the City of Cupertino from Apple’s planning documents provide the most detailed view yet of what life inside the company’s new spaceship headquarters will be like. Illustrating everything from cafes to car-parks, the renders are intended to provide a feel for what the building will be like to work in, rather than just its appearance as a structure. 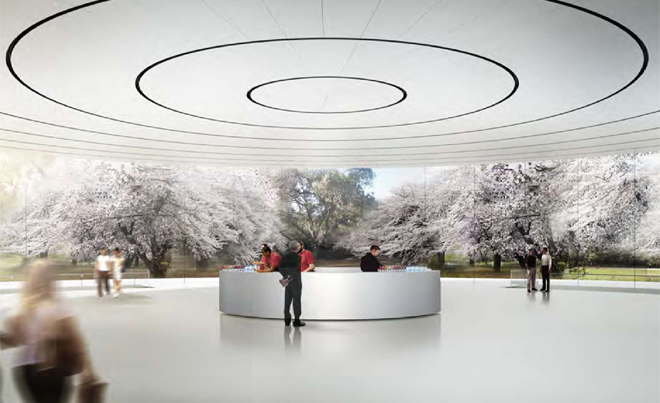 They also include additional renders of the upper level of the 1,000-seat auditorium.